The All New, All Daring Delusional Honesty! : Hulk: Season One - The Day the Hulk Turned Green? I was very happy to hear about this when it was announced! 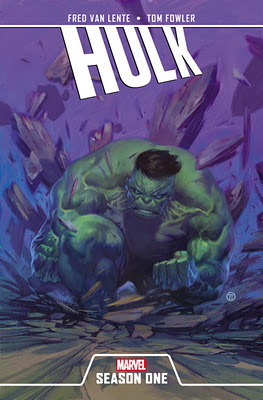 I love the Hulk, I'm a fan of both Van Lente and Fowler, and the book comes out mere weeks before my next birthday. A definite gift request for sure!